When most think about Rotorua, the world famous Whakawerawera Forest springs to mind; a large tract of forest dedicated to over 180km trails of pure sublime mountain bike riding. It is the main reason why more than 200,000 cyclists per year visit Rotorua and its also the home for Crankworx for the next 10 years as well as the site for the 2017 Single Speed World Championships. However there is limited coverage of the road riding opportunities in this region, perhaps the mountain biking is just too good! I have also heard that many roadies, after moving into Rotorua, slowly become converted to the mountain biking clan! So far, I still ride mostly road for the fitness it brings me but I do love the riding in the Whaka Forest. We’ve been in Rotorua for over two years now after living in China for six years and we have a 20 month old little boy who loves his balance bike. Living back in New Zealand is refreshing change of scenery and fresh air after living in polluted Chinese cities. Rotorua is a paradise for the bike rider or anyone keen on the outdoors, we’ve not been dissappointed and its a perfect place to raise our family. Ride Rotorua website is a great resource for keen bikers. From the road riders perspective, at first glance it seems riding on the road is very limited due to the apparent dominance of busy state-highways and the lack of secondary roads. In honesty, when I first came to Rotorua several years ago on a short visit, I struggled to find the ‘hidden gems’ and rode mostly on the state-highways which was not much fun. 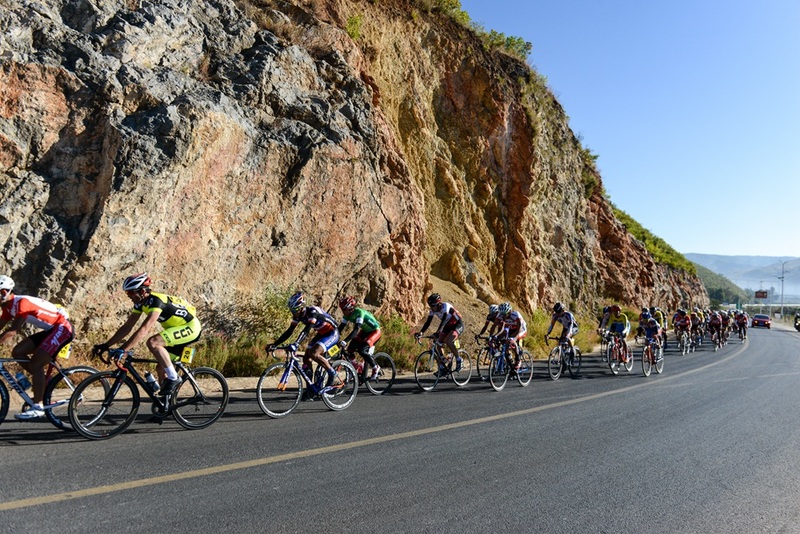 However, as you spend time here exploring those ‘hidden gems’ start to reveal themselves; there is a multitude of spectacular road riding to be had! If you are into the latest craze of gravel riding, there are plenty of gravel roads to explore. 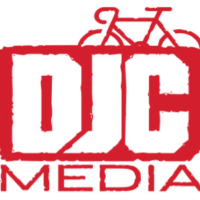 If you want to hook up with roadies during your visit, take a look at the Rotorua Cycling Club website to find out about their events and social rides. Also every February there is the Rotorua Bike Festival which has events for road cyclists and mountain bikers alike. If you are visiting Rotorua and prefer to go for a road ride then check out my top five recommendations for rides based on time you have available to you. This is another nice ride to do and the most scenic section of the ride is after Mourea when you take the left hand turn off SH33 onto Hamurana Road. From Rotorua City to Hamurana Road turn off, you’ll have to contend with traffic as its a busy connecting road to the East coast. Once you made it onto Hamurana Road, you’ll enjoy impressive views of Lake Rotorua and there are a couple of short but sweet climbs. The quieter stretch of road ends when you ride past SH36 intersection as there is alot of traffic coming in from Tauranga. 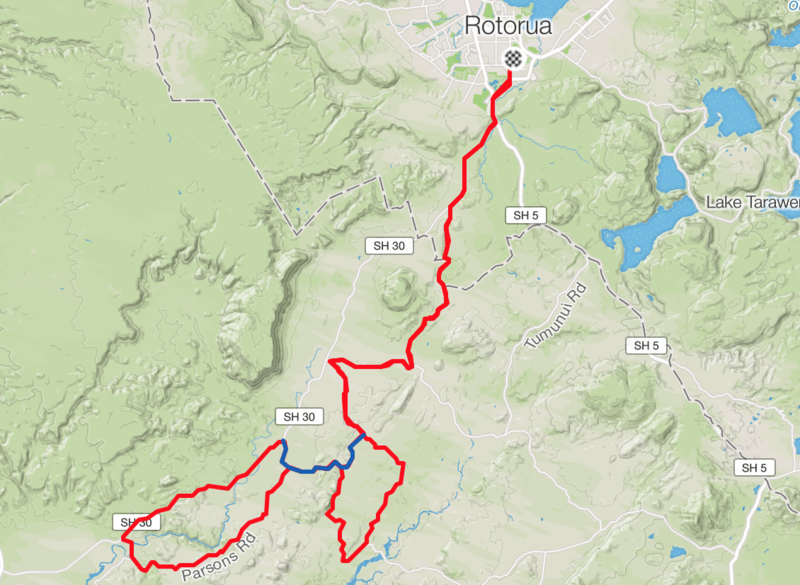 You just continue riding through Ngongotaha back into Rotorua to complete a decent 40km ride. 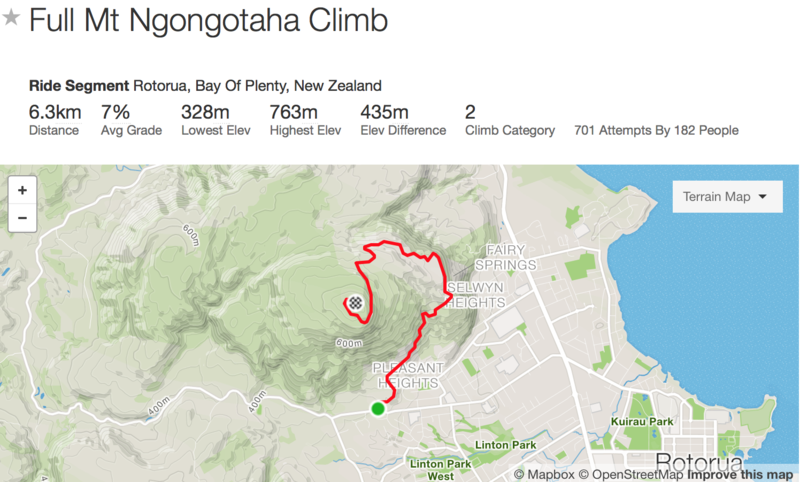 If you want more climbing and have the time for more exploring, then head up Te Wearanga Road. Its a decent climb and there is a nice network of roads to check out. Penny Road, Kaharoa and KapuKapu roads all offer brilliant riding but would make your ride anywhere from 2hrs to 4hrs. This area really has a remote Kiwi outback feeling and on a clear day you can see the ocean. Strava link here. If you are looking for a longer ride then exploring the amazing network of roads in the Waikite Valley should not be missed. To get there, you have to ride on Statehighway 5 and 30 to Bryce Road, but once on Bryce Road you almost have the entire area to yourself with the company of sheep and cows! If I am doing a long training ride, this is the area I train in and offers some of the best road riding in the region on quiet country roads. Strava link here. To gain the most from riding in Waikite Valley, its recommended to allow up to four hours or more of riding and just explore without adhering to a rigid map or plan. 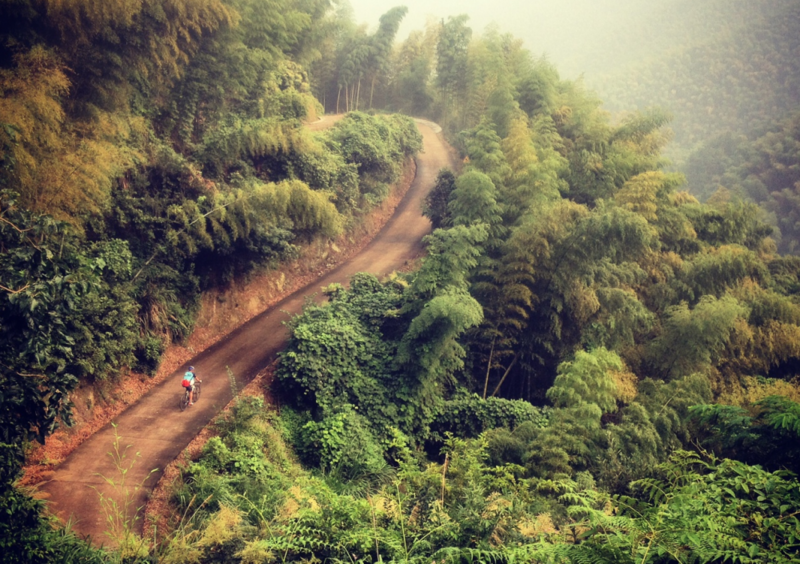 Sometimes the point of riding your bike is to discover the roads less travelled. It is a decent climb on Tarawera Road from Rotorua city to get to the Blue Lake, but it is well worth the effort. Seldom you get the opportunity to visit four lakes all in close proximity and easy access on your bike. Depending on how fit you are, its between 15 and 30 mins to reach the Blue Lake. Then you can take the first left after the Holiday Park and speed down to Lake Okareka to do a short loop. 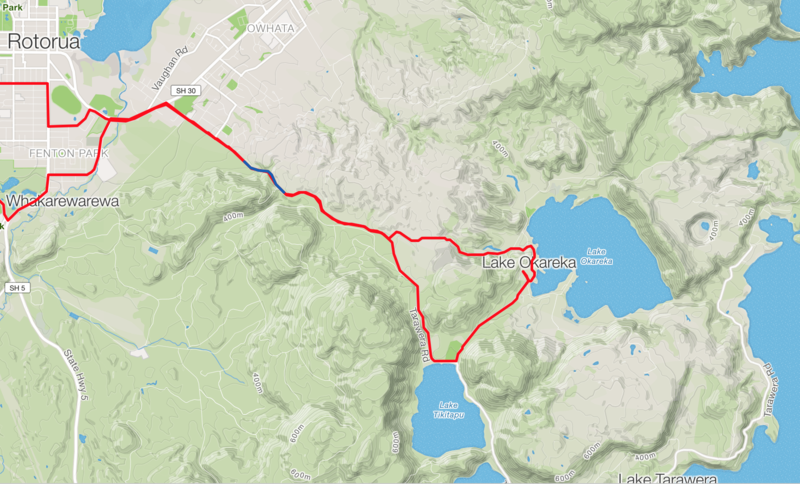 If you still have time, its recommended to bike back to Blue Lake and on to Green Lake and keep on the road till you reach Lake Tarawera. Just keep riding till the road finishes – it is a challenging ride with a number of steep inclines and can be as hard as you make it. Just turn around and head back to Rotorua when finished. If you are after a spectacular scenic ride, this one is highly ranked. Strava Link here. This is the shortest ride – but the most elevation gain! It is the only serious long climb within easy reach of Rotorua City and offers amazing views of the city, Lake Rotorua and surrounding region on your way up. There is a gate that is closed about half-way up, but you can just ride around the side and continue on up. It turns into farm-land and then back to forest when nearing the top. Unfortunately there is no view from the very top of Ngongotaha, so be sure to enjoy the views on the way up and during your descent – just be careful on the bends! The full climb can be view on Strava here. 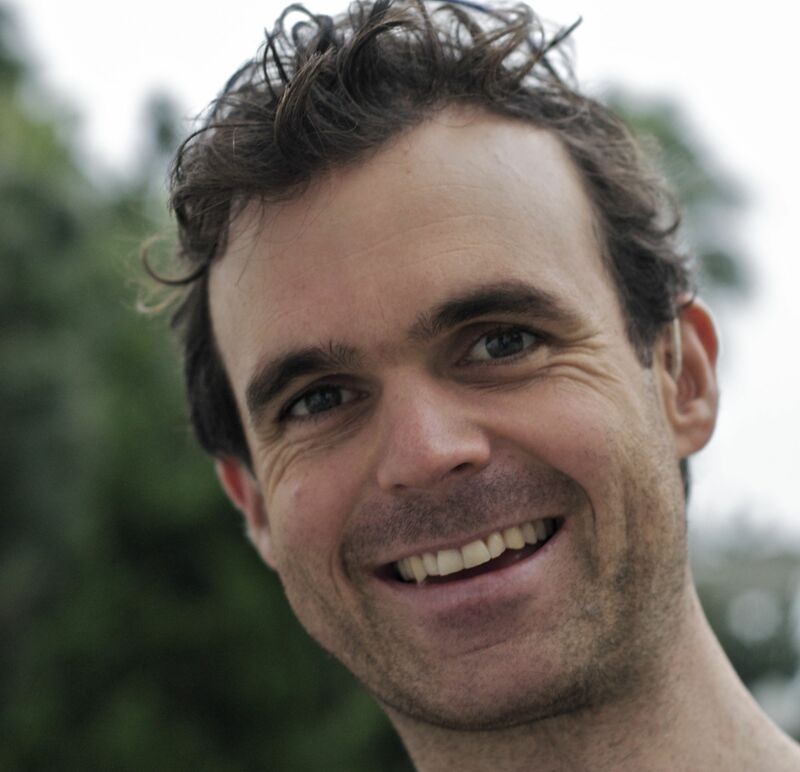 Local fast-man Carl Jones holds the record time of 18min 41 for the 6.3km 7% grade climb. For those who love Strava, that is the time to beat!